We’ve long been focused on making travel planning easier and faster for travelers, and helping airlines and travel companies deliver great travel experiences. We started with airfare shopping; today we’re pleased to introduce our new airline platform. The platform contains software required to run a passenger airline, including a reservation system, inventory control system, departure control system, and more. We’ve built this system from scratch using modern, modular, scalable technologies. The system’s modern user interfaces make it easy to learn and use. The system’s modern, comprehensive database lets airlines offer customers more personal attention. The modular technology makes it easier to change the system as airline needs change. The system is built to scale to support airlines of all sizes. 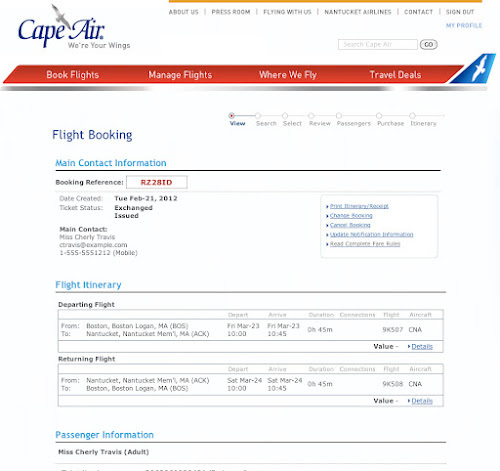 The new websites for capeair.com and nantucketairlines.com enable Cape Air customers to quickly find and book the most relevant flights, and manage changes to their reservations. We’ve worked to develop a system that is very easy to learn and use, and we’re pleased that Cape Air was able to train its reservations and airport agents in only two days. 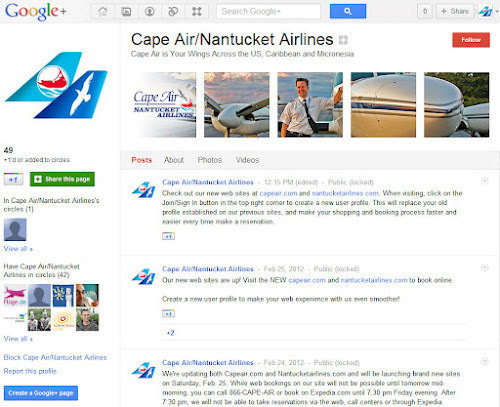 In conjunction with this launch, Cape Air also rolled out a Google+ Page for its business to promote deals, hang out with customers, announce new products, services, and routes -- and build relationships with a greater number of people. The system that Cape Air used until last week was first launched 48 years ago. Thank you to the hundreds of people from ITA Software/Google and Cape Air whose dedication and hard work have helped us launch Cape Air into the future.